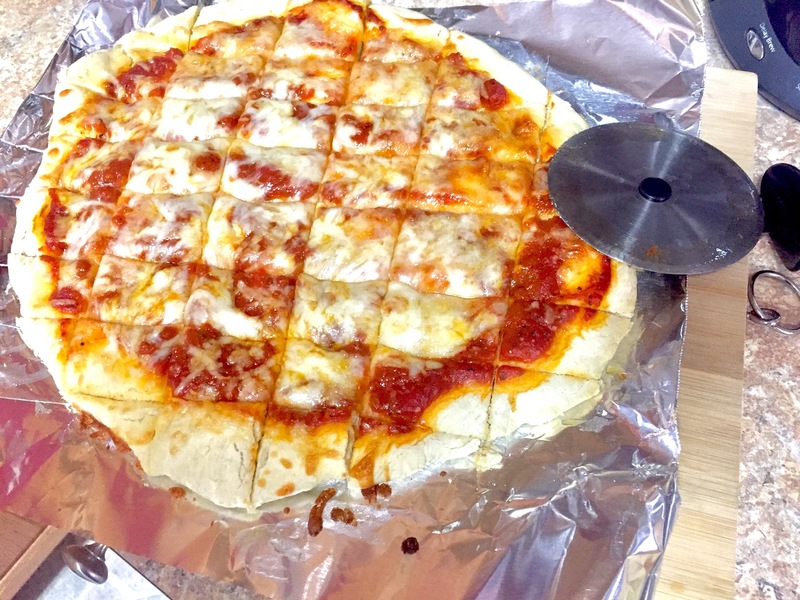 Although it took a few tries and lots of flour to figure out the right amount of correct ingredients to come up with a way to have a pizza crust in minutes, it was well worth it! Heat your conventional oven to 450. Mix all the ingredients together and kneed the dough for a few minutes, you’ll feel it when it’s ready. Sprinkle a little flour and roll it out however you like. We don’t strive for perfectly round pies around here so your best will taste just as delicious. Line your rack with foil and use your favorite butter to spread all over the surface where your dough will be placed. 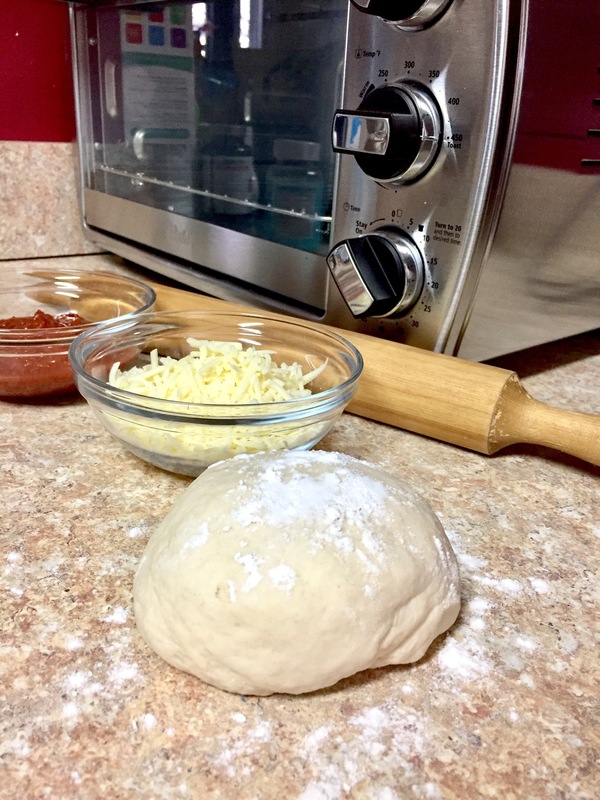 Place your rolled out dough and begin spooning out your favorite sauce and top with as much cheese and toppings as you like. 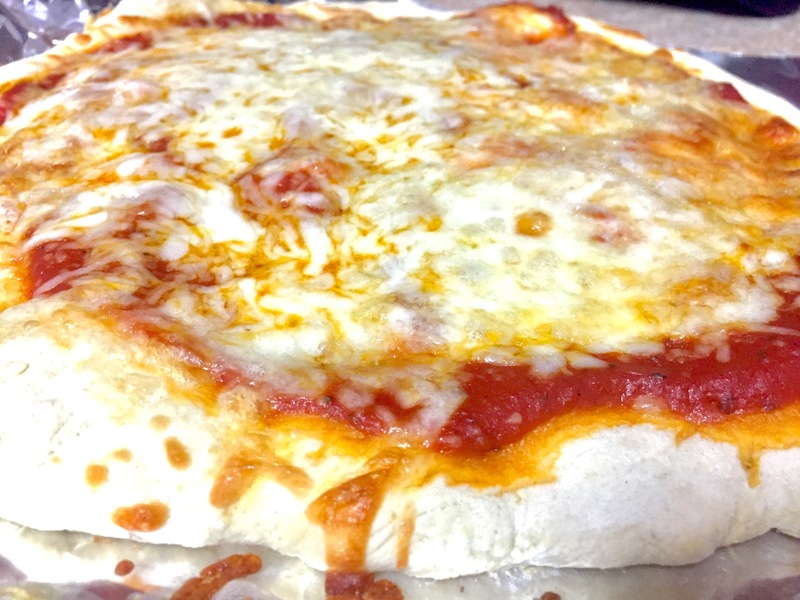 A 12-15 minute wait and your pizza should be ready to slice!